Sorbets are typically made of simple syrup (water and sugar) and suitable flavouring. As with other ice creams, air also needs to be incorporated in the base mixture to avoid rock-solid end results. Sorbets normally do not contain any dairy products, and without the fat these contain, the challenge is usually to keep down the size of the ice crystals. As with ordinary ice cream, large ice crystals will affect the texture negatively, away from the desired “smooth” and closer to the undesired “icy”. The main keys to success? Enough, but not too much, sugar, and fast freezing! Since sorbets can be made on many different things (sweet fruits, more sour fruits, wines of differing sweetness …), some serious makers would insist on matching the proportions (sugar/water-ratio) to the specific fruit (or other flavouring) to be used. For that reason, it is difficult to give one “universal” sorbet recipe: just the sugar in the sugar syrup will typically not be enough, and adjustments will depend on what kind of sorbet you are making: dates have a natural sugar content of about 65 %, limes one of about 3 % … = why you ideally should find a way to measure the overall sugar content of your sorbet base, which in the end ideally should contain about 25-35 % overall sugar. Serious sorbet-making should therefore preferably use a special instrument to check the sugar content of the syrup. One such instrument is the refractometer, which measures the level of sweetness on a so-called Brix (°Bx) scale. Also used is the density measuring Baumé hydrometer, using the so-called Baumé scale. As per the above, a sorbet mixture (at least fruit-based ones) should keep about 17-18 °Baumé / 30-31 °Brix. Why? If the sorbet mixture is too sweet, the level of sugar will prevent the sorbet from freezing properly. 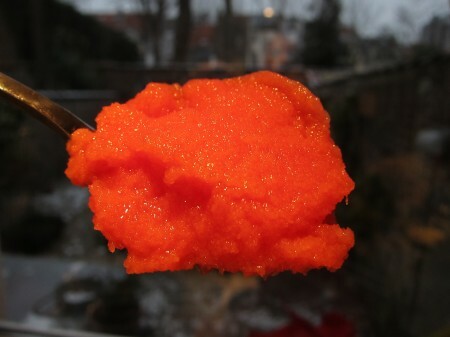 If the level of sugar is too low, however, the sorbet will freeze too hard, and the flavour is likely to taste “watered down”. Also with regard to the flavour, remember that the un-frozen base should taste somewhat sweeter than you would like, since the cold will dull the sensation of sweetness experienced in the final sorbet. A mix of equal parts of water and sugar will give you a basic simple syrup to start with. That said, I have seen some who have suggested a 65 % sugar/35 % water simple sugar syrup, which – I suppose – probably is intended to bring the sugar content closer to the final overall one, since most fruit sorbets will require more than what the sugar syrup alone can provide. What matters in the end is, however, the overall sugar content of the sorbet. 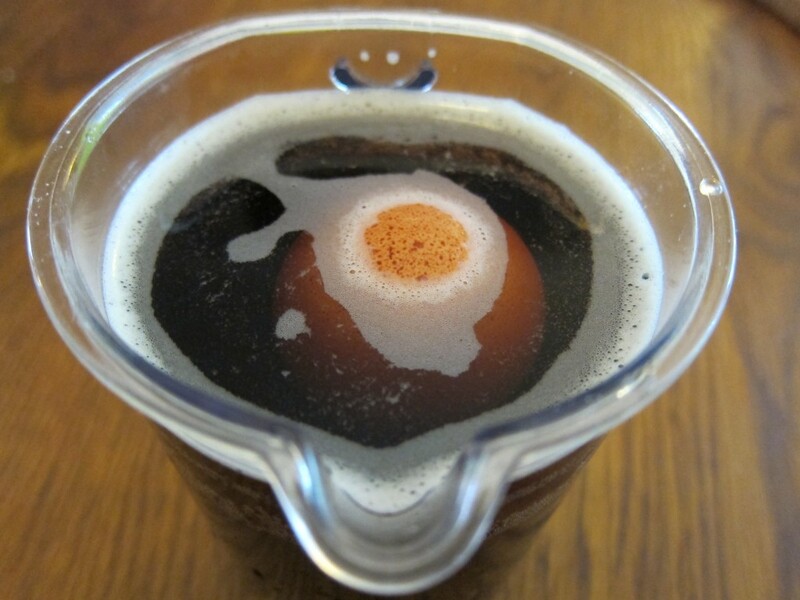 If you would like to minimise experimentation but still want to be serious about sugar levels (but not serious, or rich, enough to buy special instruments to check it), I will pass on an old kitchen trick: the Egg test. This test only requires a fresh egg. On the web, I have seen it well explained by Jenni Field. Basically, you drop the fresh egg (wash it first!) into the mixture. Watch carefully how much of the egg is showing up above the surface once it has resurfaced. If the egg remains submerged, or if less than about 2 1/2 cm is showing above the surface, add more sugar. Likewise, if more than 2 1/2 cm is showing up, add more juice, fruit puree or water to the mixture. When the “ideal” 2 1/2 cm elevation is achieved, this translates into the likewise ideal 17-18 °Baumé! There are basically two ways of preparing simple sugar syrup. Cooking the water and sugar together seems to be the traditional, generally suggested option in most ice cream literature I have come across. Simmering the water and sugar for about five minutes is usually enough to create the viscous blend you want (see below for a chemical explanation of why sugar syrup is something more than just an uncomplicated mixture of water and sugar …). However, there is also the much speedier way (let us call it the Hurried bartender’s method) which also tend to work quite well, and which does not require any cooling down: Simply mix water and sugar together without any heating. Whisk/stir/shake until all the sugar has dissolved. Voilà – ready to use! Obviously, if you do not find this solution ‘syrupy’ enough, do simmer the mixture! What happens when sugar mixes with water? Chemically speaking, the sucrose (a disaccharide) splits into the simple sugars glucose and fructose (monosaccharides). At the same time, strong hydrogen bonds are created between the water and the sugar molecules. This is actually very good for sorbets, as the increased amount of sugar molecules not only increases the syrup’s capacity to bind water (obviously super-important for avoiding unwanted iciness and improving texture), lowers the freezing point (increases scoopability) and increases the shelf life. The general sweetness is also increased with about a third (and then in a somewhat “fresher” way, since most of the ‘new’ sweetness comes from the fructose). This process is greatly speeded up by heating, which is probably why boiling sugar syrup has come to be the traditionally preferred method. A syrup, once made, can be stored in a bottle or closed jar in the refrigerator for about 2-3 weeks. When the syrup starts to become cloudy, it is about to begin to mold and should be discarded. Prepare a simple sugar syrup with equal parts water and sugar, like 500 ml (2 cups) water and 500 ml (2 cups) sugar. Since the sugar will dissolve, this should net you about 800 ml (about 3.4 cups) of simple sugar syrup. If you cook the syrup (about 5 minutes of simmering, or less, should do), let it cool down. Mix the cooled down syrup with an equal volume of berries- or fruit purée/fruit juice + the specific additional sugar to match these and reach the desired overall sugar content for sorbets, and add the juice of 1 lemon (in order to avoid an overly sweet sorbet). Freeze according to the instructions of your ice cream machine. If you do not have an ice cream machine, still-freeze in your freezer (go here for more exact instructions). Before freezing the mixture, possibly add just a little alcohol (or some inverted sugar, such as corn syrup, agave nectar, glucose syrup or honey), in order to ensure that the sorbet won’t freeze too solid. Just go careful with the alcohol, otherwise the mixture might never freeze. Can you help me find an article about “application invert syrup in compote or water juice”? I’d love to help, but unfortunately, I don’t know of any such article. The ratio of sugar to water is partly a matter of consistency and texture (getting the sorbet structure right, which should be a kind of minimum requirement), and partly a matter of taste (how sweet you want the overall sorbet to be, flavour-wise). Between these two, there is obviously some scope for experiments and personal preferences. When fine-tuning things, you would have to consider what – and how much of it – you are putting into the sorbet (sweet fruit?, acidic fruit? extra liquids? solids and stabilising/structure-building ingredients other than sugar?). With regard to the ratio, however, it is important to remember that the overall sweetness of the sorbet base may well remain about the same. The sugar to water ratio, however, might differ when it comes to preparing the simple sugar syrup! Exactly how depends – again – a bit on the flavour and on the other ingredients. For dessert sorbets, and in refractometer-terms, we would traditionally be looking to find an ideal, overall sweetness level somewhere within the range of about 25° to 30° Brix. My suggestion, in case you do not want to go down the refractometer-route, is to continue with the egg test as the guiding star. That should typically ensure a nice enough sorbet structure. Then, using your personal preferences, you could check and see whether your particular ingredient(s) may require some more (or less) sugar in order to come across the way you want them to. Best of luck with your experiments! Who are you, the Sheldon Cooper of Ice Cream?! I’m hoping you can help me. I recently was at a restaurant in Atlantic city nj. I had oysters on 1/2 shell and they were served with a jalepeno sorbet for topping. it was out of this world. it was like shaved ice crystals. I tried making at home with a recipe I found on line, used my ice cream/sorbet maker. it was rather easy to make but it came out creamy like sherbet. wanted it like shaved ice, did I do something wrong? please help ! 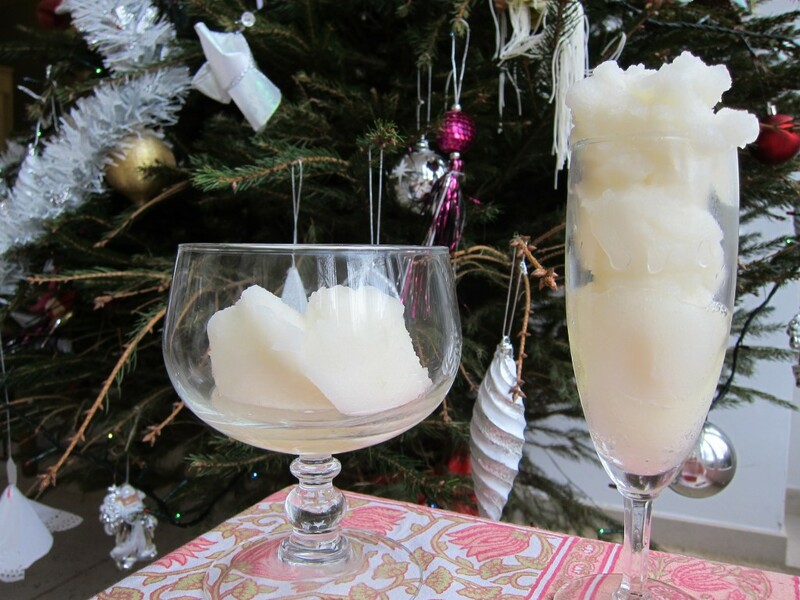 I would wager that what you had was not strictly sorbet, but rather granita (which, strictly speaking, is shaved ice). I’m a bit confused about the simple syrup ratio. You said “65% sugar to 35% water” but then you gave the quantities as “500 ml (2 cups) water and 300 ml (1.3 cup) sugar”, which is pretty much the reverse! Could you please clarify which one is correct? It definitely helped my sister calm down though. 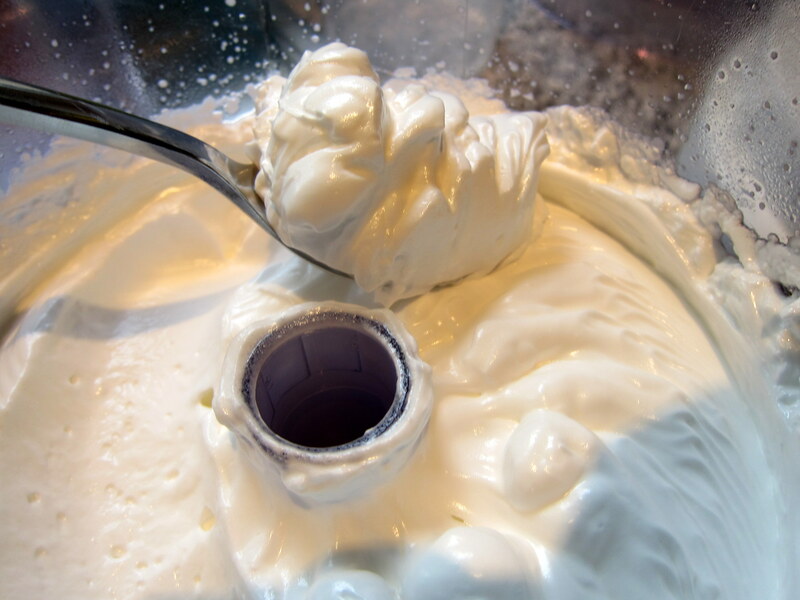 I mixed ice cream powder 500 gm with milk 1000ml and when they freeze they become soooo hard and sticky ….what is the probem??? There are so many ice cream powders out there, so I have absolutely no idea. Perhaps you could try to ask the manufacturer? Hi Anders, love your article! 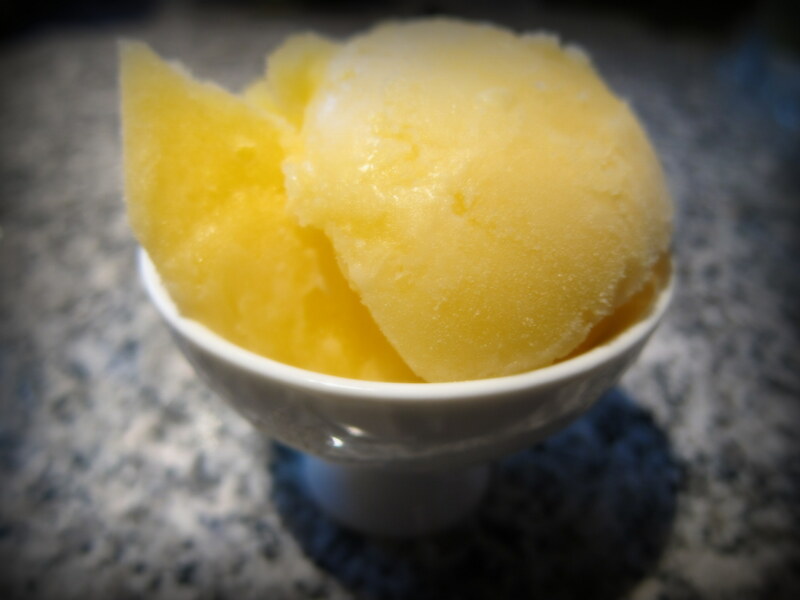 Have been making sorbet for years and have always struggled with lemon in particular. This has been really frustrating given my tree produces close to 300 a year. I just purchased a hydrometer and can’t wait to give it a try with the perfect concentration of sugar. Personally, I remain very fond of the good ol’ Egg Test, but there is no denying that a hydrometer is even more exact (and arguably less messy).